Barry Silbert is the Founder of Digital Currency Group, a company building the foundation for the digital currency revolution by investing, starting and growing companies in the Bitcoin space. In addition, Barry also created the Bitcoin Investment Trust, a private, open-ended trust that is invested exclusively in bitcoin and derives its value solely from the price of bitcoin. It enables investors to gain exposure to the price movement of bitcoin without the challenges of buying, storing and safekeeping bitcoins. Prior to founding Digital Currency Group, Barry founded SecondMarket, a platform that enables private companies and investment funds to more efficiently raise capital and provide liquidity to their stakeholders by simplifying complex transaction workflows, streamlining investor onboarding and verifying that investors are accredited. 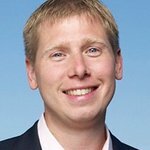 Barry Silbert is an investor in the DCC through the Bitcoin Opportunity Corp. This a guest post by Barry Silbert; the views and opinions expressed are those of the author. The success of the Digital Currency Council (DCC) is exciting and timely for everyone involved in, and everyone who will become involved in, the digital currency economy. Similar standards-based professional organizations have been critical to the functioning of our traditional economy, and there is little doubt that the DCC will play an equally important role in the emerging digital currency economy. The DCC Certification is similar to other certifications that assure clients that the professional has the expected level of competence. Such certifications enable the professional to differentiate him or herself from the crowd. Certifications allow us to hold professionals who are advising clients to a higher standard, and provide a benchmark for evaluating skill and professional value. For example, the Chartered Financial Analyst (CFA) certification began over 50 years ago in response to increased interest by the public in investing, and a growing recognition that advisers should have the expertise that met the need for sound financial advice. Original members were grandfathered in through work experience alone, but now the exam is one of the more difficult in the industry and the certification one of the more prestigious. With an annual pass rate of only 50 percent or fewer, the CFA certification guarantees that the holder has the requisite depth of knowledge to offer sound guidance to clients seeking risk adjusted investment returns. The DCC is on track for a similar outcome, where holders of the DCC certification can present to clients that they are held to a higher standard of knowledge and ethics. There is a significant and growing opportunity for professionals in the digital currency economy. I am glad to see the development of the DCC and to be a part of its membership community, as it will support professionals in developing their respective businesses and add a credible, even foundational, structure to the ongoing growth of digital currencies. Governments at all levels are attempting to keep pace with the growth of digital currency, and are reacting with a variety of definitions, laws and regulations in an attempt to fit digital currency into existing frameworks. This dynamic presents significant challenges to any professional seeking to guide clients through the perilous, unclear and evolving landscape. When I began educating myself on digital currencies, there were no obvious resources for trusted, unbiased and accurate information. It took me six months to learn all that was available through multiple resources, many of which were conflicting or unclear. I needed an unbiased and accurate place to discover the facts behind digital currency and test my hypotheses amongst trusted peers. I only wish the DCC was available when I was finding my footing in the ecosystem. The DCC provides the professional adviser an efficient means for getting quickly up to speed on digital currencies, so he or she can take a leadership role in the new economy. As millions of individuals, businesses and investors are already actively engaged with digital currencies; and as governments begin to share guidance and promulgate regulations â€“ there is no shortage of demand for competent professional advice. Yet there are an inadequate number of professionals who have invested the significant time necessary to get educated on this new area of practice. And consumers of these professional services are left wanting for clarity with regards to the skills and experience of their prospective advisers. The DCC will help professionals efficiently separate fact from fiction; equipping them to advise individual consumers, merchants and investors. Further, it will provide a mark that will enable consumers of professional services to identify and engage advisers with the requisite expertise and commitment to ethical conduct.